Team Teasdale Realty has listed and sold several Springville Utah Short Sales over the years. Paul Teasdale has been selling Springville Utah Short Sales in Springville since 1995. If you are looking for a short sale in Springville Utah make sure you are familiar with the approved and unapproved short sales. The unapproved short sales can be much more difficult to buy. The approved short sales are harder to find but the best ones to buy. If you would like Paul's opinion about a particular short sale feel free to contact him. Paul has been helping buyers and sellers work with Springville Utah Short Sales for over a decade. Work with an experienced broker to help you find your next home. 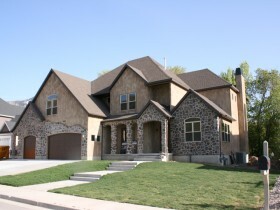 See a list of Springville Utah short sales today! What is a Springville Utah Short Sale?